Dance • Students seek to change the world through cultural exchange program. Courtesy image University of Utah dance students work with younger dancers as part of the Panama movement exchange. Courtesy image University of Utah senior Eiby Lobos working with one of the young ladies who live at the Malambo Orphanage in Panama City. Courtesy image University of Utah dance students prepare for a master class from a local teacher with Melissa Williams and Movement Exchange director Anna Pasternak, while on a cultural exchange program in Panama in 2012. Courtesy image University of Utah dance students Camilla Gardner and Emily Jane Weaver teach creative movement to the children at Fundación Calicanto, as part of a 2012 dance exchange trip to Panama. Courtesy image Scotty Hardwig and Lynn Bobzin working with the orphans at Hogar de la Infancia Orphanage in Panama City in April 2012. 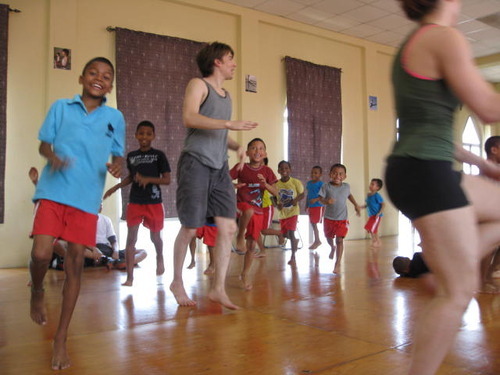 Courtesy image Orphan boys at Malambo Orphanage in Panama City who greeted University of Utah dancers Scotty Hardwig and Emily Jane Weaver and assistant professor Juan Carlos Claudio, who participated in a cultural exchange in Panama in 2012. Dance majors at the University of Utah aren&apos;t required to take Fundraising 101, but 15 undergraduate and graduate modern dance students are learning fundraising skills through experience. Through the Movement Exchange nonprofit, the U. dancers will spend March 10-18 in Panama City, where they will teach, collaborate, and perform with children in orphanages and dance professionals. 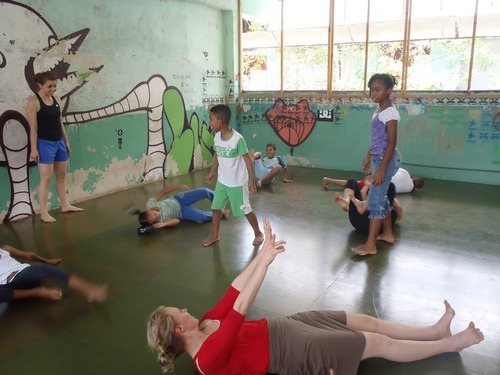 The nonprofit partners with a number of institutions  including the University of Panama, the U.S. Embassy, the National Dance School of Panama, three orphanages, and three at-risk youth foundations  to provide sustainable dance education for Panamanian youth. The U.&apos;s exchange program was launched last year after assistant professor of modern dance Juan Carlos Claudio spotted a poster on a cluttered bulletin board for the Dance and Educational Exchange Program: Panamá (Movement Exchange). "It was exactly what I had been looking for," Claudio said. He remembered the fulfillment he felt when he participated in community outreach during his 10 years as a member of the Ririe-Woodbury Dance Company. "My goal as a teacher is to build strong technical dancers, but I also want to teach students to think creatively, globally, collaboratively  and especially to broaden the definition of what dance can be as a profession," Claudio said. Claudio teaches courses such as Dance in Culture, Service Learning: Modern Dance, and a Dance and Community program where students teach under-served populations, working with refugees, at-risk youth, the homeless and veterans. "We deal with issues like obesity, emotional stress and PTSD." Those experiences led Claudio to contact Movement Exchange&apos;s founder, Anna Pasternak, and the pair quickly discovered they shared similar goals about using dance as a vehicle for social change. Pasternak, a 2007 Harvard graduate, launched Movement Exchange in 2010. 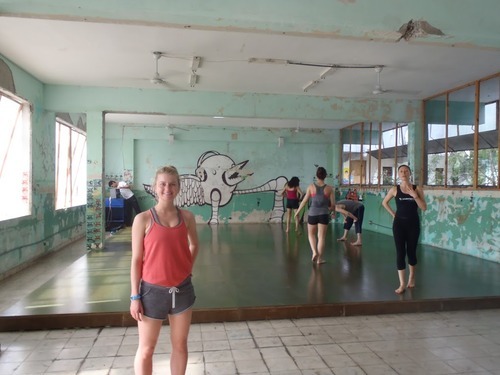 She describes it as "sort of a Dancers Without Borders," working to facilitate exchanges with volunteer dancers who travel abroad to teach dance to at-risk youth. In Panama, that includes working with children in several orphanages, where according to Pasternak, the children often have social and psychological issues. "They can have a hard time even facing each other and talking," she said. But through the dance classes and forming bonds with the teachers, "they gain self-confidence, pride and trust. They learn teamwork and organizational skills. Kids don&apos;t necessarily want to talk about the things they&apos;ve been through, so they get to explore and express some of their feelings through dance." 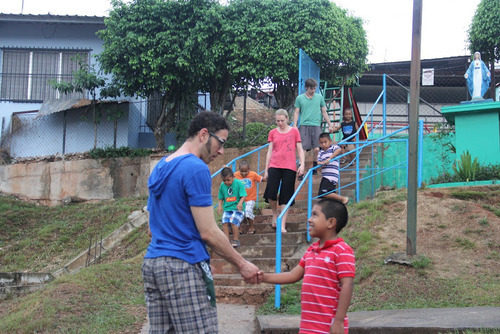 Working with Movement Exchange, Claudio led a group of 15 U. students to Panama last April. 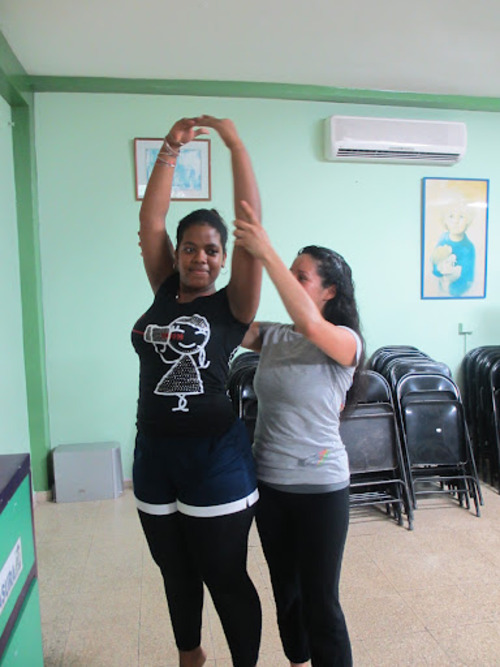 The group taught 100 students per day at two orphanages, a public elementary school, the University of Panama and National Dance School of Panama. In addition, they took classes with local artists. The trip included some challenges. For example, MFA student Lynn Bobzin said when they got to the orphanages, they hadn&apos;t considered that there would be no power sources to play iPods for class music. "So we created our own by drumming on the floor and singing," Bobzin said. Now, Claudio is coordinating the return trip to Panama in March. To fund the trip, the U. dancers have had to get creative. "With your help in the fundraising efforts, you are helping us to use dance&apos;s global language to empower at-risk youth, promote self-esteem and creative development in underserved communities and develop new artistic relationships across the globe," Claudio said. Characteristically, Claudio dipped his head and added: "I am humbled by the generosity we&apos;ve already received." The U.&apos;s second Dance and Educational International Exchange Program: Panamá will take place March 10-18. The 15 U. dance students who are taking the trip will hold a fundraising week Jan. 28-Feb. 2. Dancers participating • Lynn Bobzin, Kelly Bruce, Christine Crepeau, Eowyn Fitch, Amy Freitas, Aiko Johnson, Jordan Peterson, Eiby Lobos, Laura Brick, Benjamin Roeling, Jamie Myers, Samantha Matsukawa, Ben Mielke, Scotty Hardwig and Laquimah Vandunk. 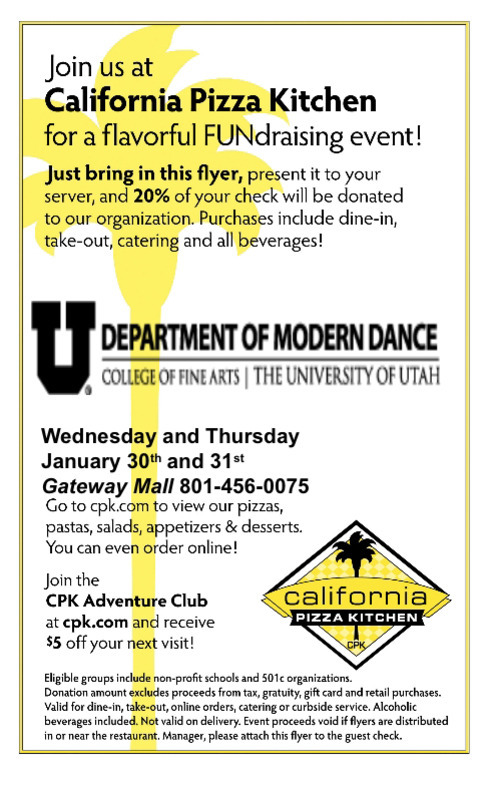 California Pizza Kitchen • Bring this article or a cell phone photo of it to California Pizza Kitchen at The Gateway on Jan. 30-31; 20 percent of purchases (dine-in, take-out, catering and beverages) will be donated to the effort. Move to Change-Dance Intensive • U. students will lead a dance workshop on Saturday, Feb. 2, with proceeds donated to the Panama exchange tuition and flight expenses.